One of the great things about working in the continually evolving digital industry is the opportunity to work with the new techniques and technologies that emerge to more effectively promote brands online. This is also, however, where the world of branded content marketing can get a bit more complex and “techy” — for example, its adoption of microformats. Microformats are small inserts of code that make it possible to create meta data, which can be understood by machines to help pre-populate data on media sources like Facebook and Google. This allows marketers to optimize their branded content and offer richer website content experiences to those who are exposed to them on social networks. This gives publishers the potential to maintain control over their content’s visibility and message long after they have hit the publish button by establishing a standard for the way social media networks will display that content. Search engines have also gotten in on the act, using their own microformats to display rich snippets in search engine results pages (SERPs) and incorporate semantic search elements, such as Google’s Knowledge Graph. What it does: As you may have heard a million times, search engines have begun to display authorship within SERPs, helping marketers to improve their click-through rates (CTRs) and, potentially, get better rankings from Google. 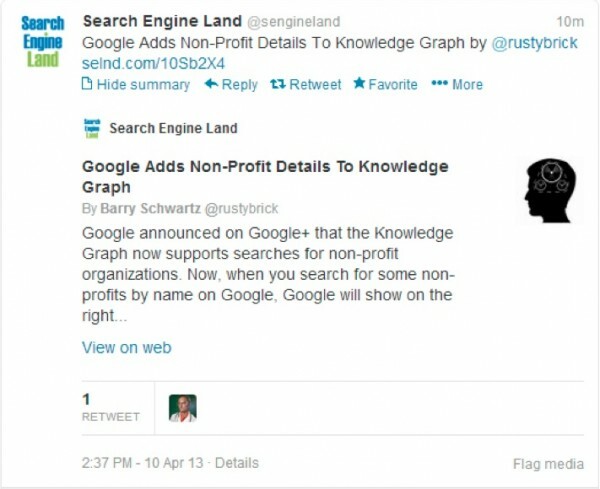 Using the link relation attribute tag, rel=”author” within a link tells search engines that the page is authored by a particular person, thus allowing their Google Authorship status to display in SERPs. In addition, should the fabled AuthorRank verification someday come to pass, this signature should also enable enhanced search rankings for the author. If you don’t know your Google+ page identity (i.e., the long string of numbers in the URL above), just sign into your Google account, and click on View Profile in the drop-down menu next to your profile picture in the upper right-hand corner — your ID number will appear in the URL of the profile page that opens. What it does: The tag rel=”publisher” is a slightly different beast than its rel=”author” cousin. Though this code also functions within Google’s search environment, it uses a completely different format for meta-content delivery. rel=”publisher” creates a rich code snippet that displays marketing content and information drawn from a content creator’s Google+ network. Businesses can benefit from this as it allows them to own more of the search space surrounding their brands. A rich snippet, like the example above, shows searchers your social activity and allows them to click through to follow you as part of their search experience. How to use it: Implementation of rel=”publisher” is a pretty straightforward affair. 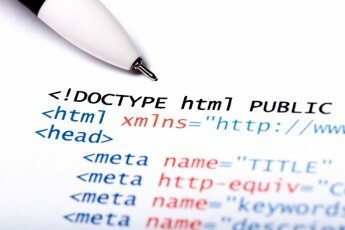 It is a simple meta tag that sits within the <head> section of your website’s HTML code. Simply add <link href=”Google+ URL” rel=”publisher”> to the <head> code of your home page. Again, in place of “Google+ URL” above, you would include your own Google profile page URL. Though there is still some debate around whether this tag should be a site-wide addition, the home page should be sufficient for our purposes of branding SERPs. What they do: Twitter introduced its Twitter card format last year, allowing brands and publishers to enhance the expanded tweets Twitter creates for their content (similar to the way Open Graph tags provide content creators with the ability to determine what their posts and pages will look like when shared on Facebook). A recent study by Omoii found that Twitter cards users experienced increases in both click-through rates and engagement (in the form of retweets) with their content: Click-through rates from tweet to post averaged 3 percent with Twitter cards (compared to 1.6 percent without), and engagement rate increased from 27 percent of tweets to 59 percent. By providing richer data within the content you distribute across your social networks, you can better “sell” that content to the end user in a more scalable manner than ever before. Put your URLs into the validator tool to check for errors and request to be approved. It may take a few weeks to be verified by Twitter, but it is getting faster all the time. What it does: When a Facebook user “likes” or shares the URL for a piece of content on Facebook, its Open Graph protocol takes that data and uses it to create the title, description, image, and other attributes that comprise the structured information displayed about that page. This is pulled from the page from information set within the <head> code that defines what each data point should be. Facebook’s Open Graph is probably the most useful mark-up for social sharing, not only because a billion pieces of content are shared every day via Facebook’s Open Graph, but also because Twitter and Google+ both default to Open Graph data when their own specific tags aren’t being used. How to use it: For content marketers who use WordPress, the brilliant Yoast WordPress SEO plug-in allows you to implement both Facebook Open Graph and Twitter Cards in a very user-friendly manner. But for those of you whose content publishing efforts rely on hard coding, the process for implementing Open Graph is a bit more complex and may be best left to your webmaster or IT department (though the tech-savvy among you can check out Alex Moss’ post, and take a look at the documentation from Facebook for additional guidance). Once you are up and running, you can check that you have implemented the mark-up correctly by using a program like the OG debugger to pull up any issues with the code. How are you managing your brand’s message online? Have you taken microformats on board? I’d love to hear your thoughts and opinions in the comments below. For more tips on implementing the latest optimization tips in your content marketing efforts, read CMI’s Content Marketing Playbook. Andrew Isidoro is a freelance SEO and SEO Manager at GoCompare.com, one of the UK’s top price comparison websites. You can find him on his blog talking about digital marketing and the state of semantic search, on Google+ or on Twitter: @andrew_isidoro.